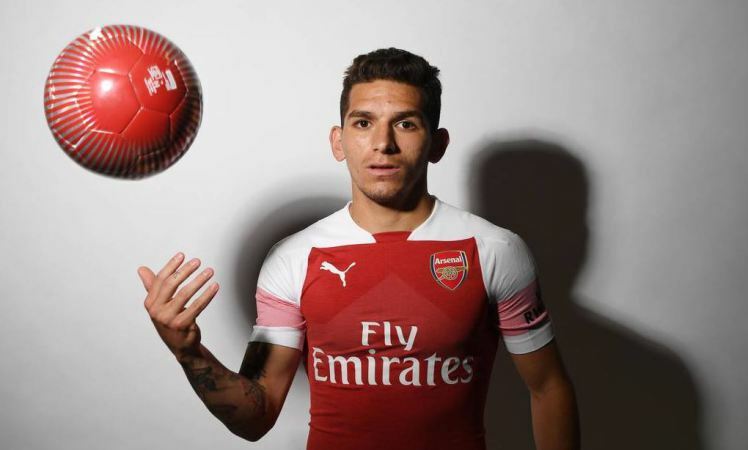 Arsenal have officially completed the signing of Lucas Torreira from Sampdoria in a deal worth £26.4million, the club have confirmed. Torreira, 22, becomes Unai Emery’s fourth signing of the summer following the Gunners’ captures of Stephan Lichtsteiner from Juventus, Bernd Leno from Bayer Leverkusen and Sokratis from Borussia Dortmund. Strengthening central midfield has been a priority for Emery ever since he replaced Arsene Wenger at the Emirates, especially after losing Jack Wilshere and Santi Cazorla, and Torreira emerged as the club’s top target. The Uruguayan will wear the No. 11 shirt which was vacant after Mesut Ozil took Jack Wilshere’s No. 10. He enjoyed a productive campaign for Sampdoria in Serie A, with his performances earning him a place in Uruguay’s squad for the World Cup in Russia, where he eventually nailed down a starting spot. Despite agreeing a fee before the tournament started, Arsenal were keen to allow their new signing to focus exclusively on the World Cup so delayed a medical until Uruguay were eliminated. After defeat to France in the quarter finals, Torreira opted not to fly with the rest of his teammates back to Montevideo and instead jetted straight into London on Monday, passing a medical and penning terms.